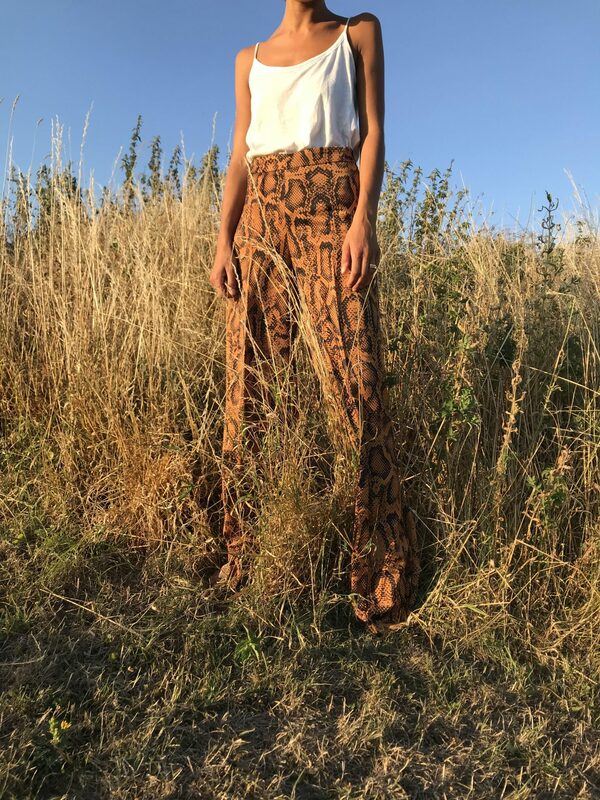 Normally when it comes to animal print the usual leopard print comes to mind, but this season there are lots of different prints to consider and I’m sticking with the 70’s style favourites the python print. 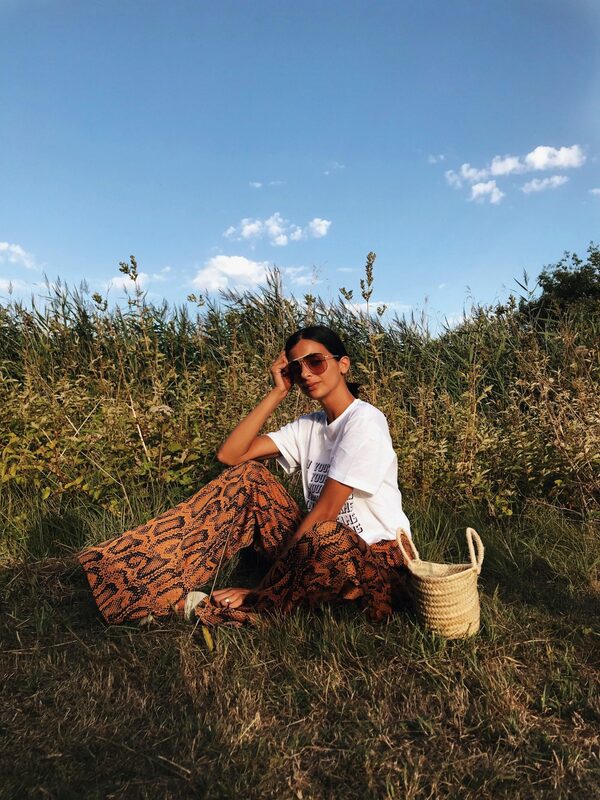 As I mentioned here the animal trend is super huge this season and I saw these Chloé pants via Net-a-Porter (here) and instantly became obsessed -but a little out of my budget! 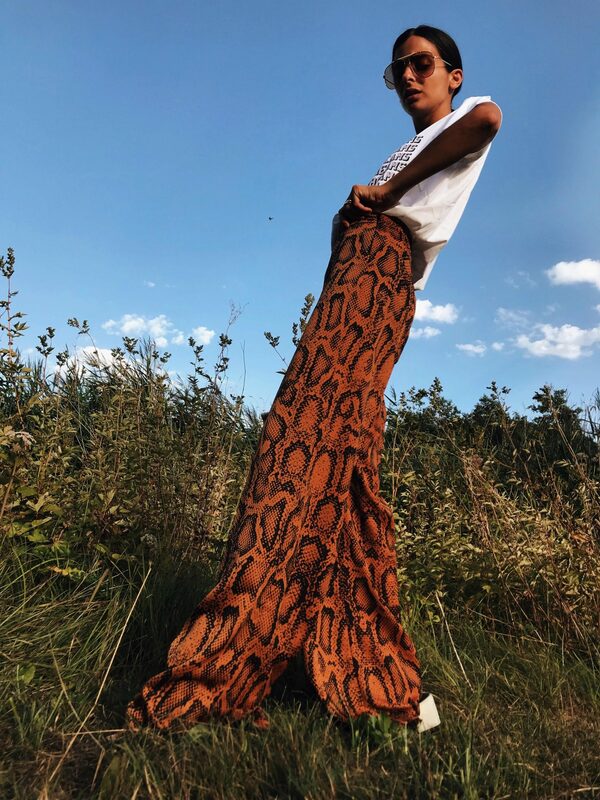 So when Zara dropped these python pants (available here and similar here) I just had to purchase! They are highwaisted with a super huge flare -just like a 70s dream. I’m wearing an XS and they are slightly big on me, so I would advise you go a size down then normal- if you are able to. 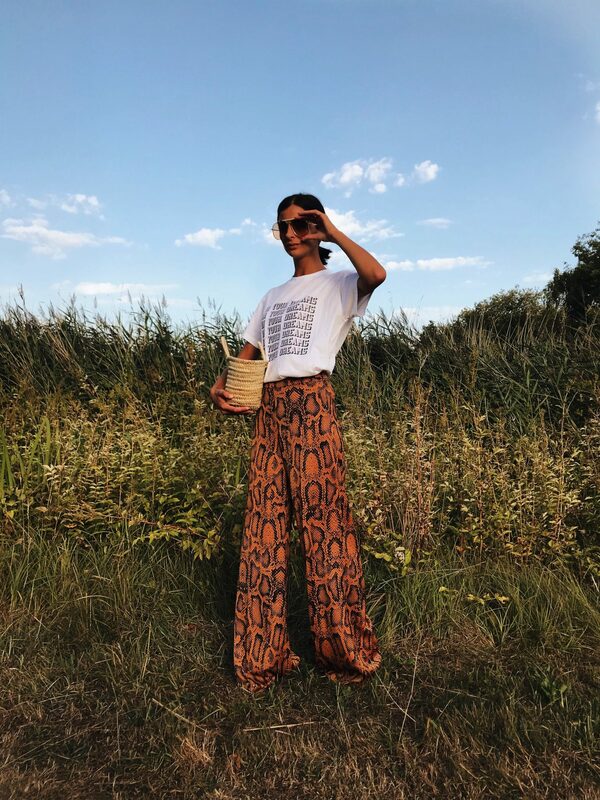 As we were going for a lunch time family meal I wanted to keep it casual but cool so I’ve teamed it with my new ganni tee (here) via The OUTNET. I’m a huge fan of Ganni slogan tees and I’m slowly growing my collection! To pull the look together I styled my new edit.58 bag via Selfridges (here) and my Tom Ford Conor 70s style glasses. You could be brave and wear head-to-toe animal print which done right can look amazing, however I am not brave enough to try that out just yet! I will be wearing these through the winter months teamed with an oversized brown jumper and a beaded bag I have coming!